The past two nights Captain Zig of First Fish Adventures has taken a couple of nice stripers on clam in the cricks behind Sea Isle. 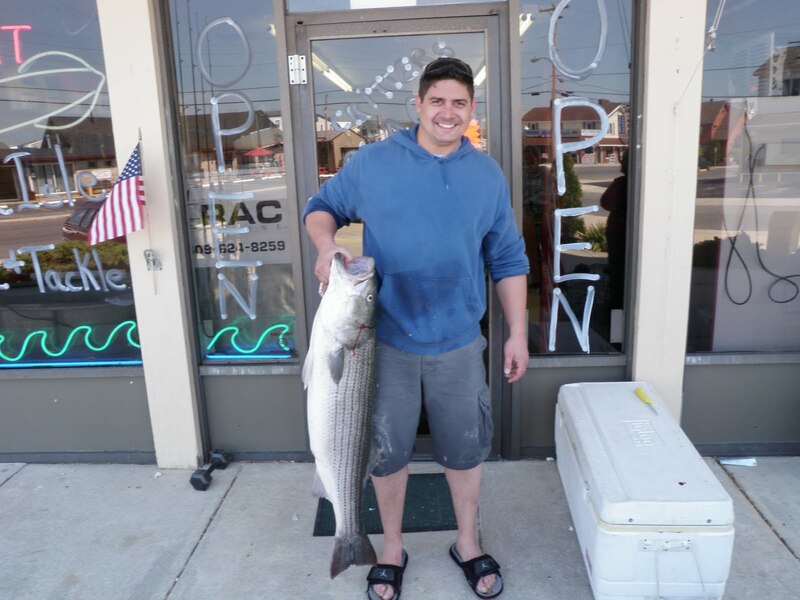 Captain Joe Hughes of Jersey Cape guide Service has been landing nice stripers on top water plugs. The Bigger stripers are biting in the surf on hole clam with the occasional puppy black drum. I have herd reports of a week fish or to being taken in the back water also. The flounder fishing continues to get better with every passing day. The report of the week is the TUNA are biting. From what I have herd there are a couple of hot spots of water in the canyons where there have been yellow fins and mahi-mahis taken. For up to the minute reports give us a call 609-253-4575 We are open 6-6 longer on the week ends. To contact Captain Joe 609-827-3442. To contact Captain Zig 609-602-9004. 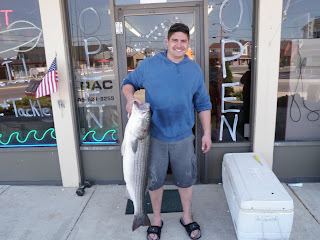 The top picture is the fish of the week from Jim Sadusky of West Chester PA this striper came in at 45 and 1/2 inches. 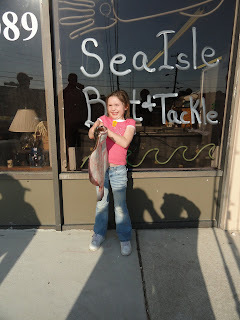 The little girl with the BIG flounder is Kaylee Davis age 7 she is an accomplished fisher woman. Getting some good reports about the stripers in the surf and even a couple of puppy drum mixed in most bites have bin on clams. The bass in the back bay have bin hitting clams also but some are being caught on top water plugs on the out going tide. Fresh clams will be in to day and we will have a bunch of new inventory for the week end. Opening day was a success! Thank you ALL for stopping in. 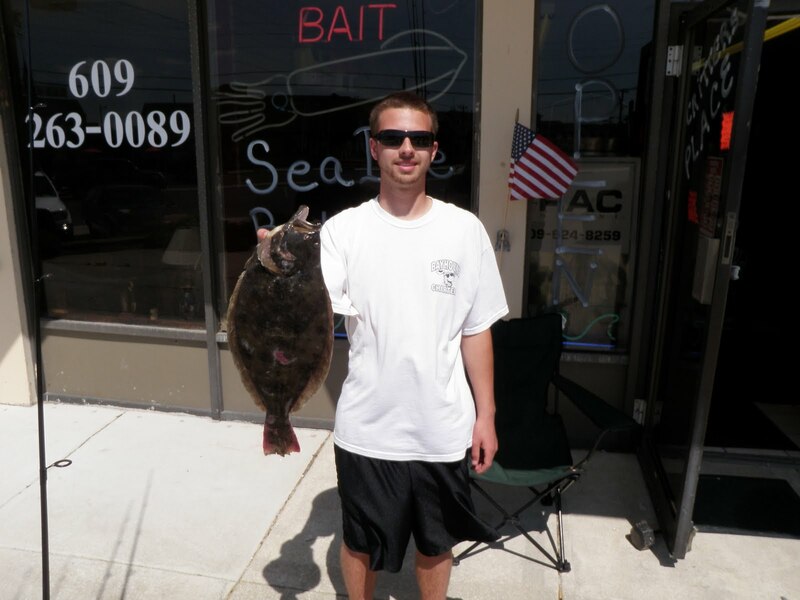 The winner of the opening day of flounder tournament was Kenny Clayton with a 5 pound 8 ounce fish. Pictures to come soon. We are currently open 6am-6pm Sunday thru Friday and 5am-7pm on Saturday. 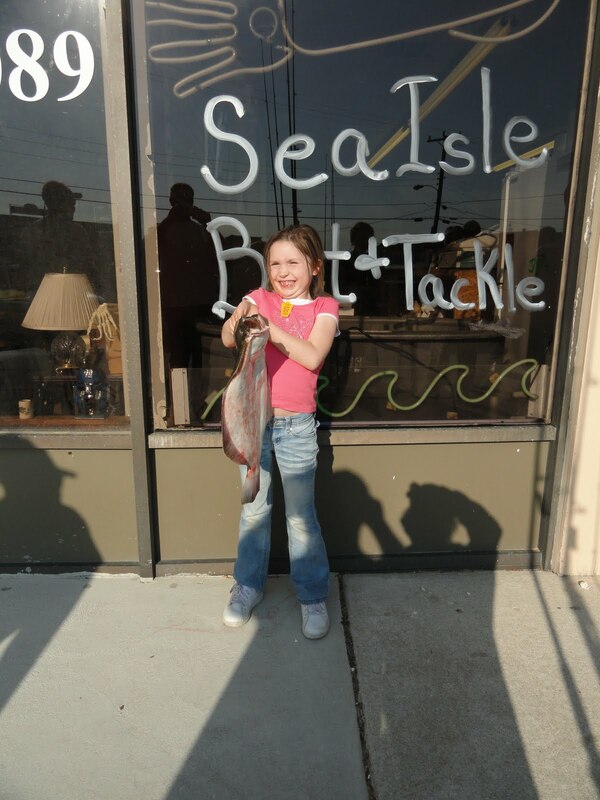 We have a large selection of live and frozen bait with more inventory added every week.